PhD (Biochemistry) from Osmania University. Postdoctoral research at the Indian Institute of Science, Bengaluru and Case Western Reserve University, Cleveland-USA. Research focus is on molecular nutrition of age-related diseases. Evaluate nutritional status of elderly as well people with age-related diseases to understand the influence of nutrients, particularly micronutrients on molecular mechanisms related to age-related diseases. Developed a raw-food based quantitative food frequency questionnaire to quantify dietary intakes. Assessed the prevalence of subclinical micronutrient deficiencies and identified factors associated with adequacy of micronutrient intakes in adults. Studies revealed a role for micronutrients in the development of diabetic complications and provided the basis for the influence of micronutrients on molecular processes involved in diabetic complications. Work suitable animal models for studying the disease biology of complications of diabetes and obesity and to understand the role of nutrition. Described age-related eye diseases- neuronal and retinal degeneration and cataract, in a spontaneous obese rat model. These studies suggested that sorbitol could be a molecular link between metabolic syndrome and age-related diseases. Investigate the impact of functional foods and their bioactive molecules on signaling mechanisms involved in age-related diseases. The pioneering work on involvement protein glycation and aldo-keto reductases under chronic hyperglycemia, paved the way for exploring functional foods molecules as aldose reductase inhibitors (ARI) and antiglycating agents (AGA). Further, isolated and characterized novel compounds from functional foods as ARI and AGA for combating diabetic complications. Our works is aimed to understand the role of protein quality control (PQC) machinery in age-related diseases as well as to understand the modulation of PQC by nutritional means. Reddy SS, Shruthi K, Joy D, Reddy GB. 4-PBA prevents diabetic muscle atrophy in rats by modulating ER stress response and ubiquitin-proteasome system. Chem Biol Interact 2019 June; 306: 70-77. PMID: 30980806. Shruthi K, Reddy SS, Chitra PS, Reddy GB. Ubiquitin‐proteasome system and ER stress in the brain of diabetic rats. J Cell Biochem. 2019 Apr;120 (4): 5962-5972.PMID: 30317658. Sontake V, Kasam RK, Sinner D, Reddy GB, White ES, Jegga AG, Madala SK. Wilms’ Tumor-1 drives fibroproliferation and myofibroblast transformation in severe fibrotic lung disease. JCI-Insight 2018; 3(16):e121252. Sivaprasad M, Shalini T, Das S, Vijayalakshmi V, Reddy GB. Vitamins B6, folic acid and B12: molecular functions and prevalence of deficiency in India. Proc Indian Natn Sci Acad Dec 2016. 82(5):1381-1394. Shalini T, Sivaprasad M, Ismail A, Reddy GB. Emerging problem of vitamin D deficiency in India. Proc Indian Natn Sci Acad Dec 2016. 82(5):1395-1412. Chettu SK, RB Madhu, GB Raolji, KR Babu, NSK Rao, S Gopalakrishnan, A Ismail, Reddy GB, Shafi S. First total synthesis of cyclodepsipeptides clavatustide A and B and their enantiomers. RSC Advances. 2016. 6: 61555-61665. DOI: 10.1039/C6RA08861A. Deshpande J, Shankaranarayanan J, Bhanuprakash RG, Sreenivasa RS, Juturu V. Soluble curcumin in the prevention of diabetic retinopathy via modulation of antioxidant activity and genetic pathways-in vivo model. Adv Ophthalmol Vis Syst. 2015; 3(1): 00077. Kshirsagar RP, Kothamasu, MV, Patil MA, Nimbulkar C, Reddy GB, Kumar BD, Bakshi V, Diwan PV. Geranium oil ameliorates endothelial dysfunction in high-fat high sucrose diet-induced metabolic complications in rats. J Func Foods 2015; 15:284-293. Chitra PS, Swathi T, Sahay R, Reddy GB*, Menon RK, Kumar PA. Growth hormone induces transforming growth factor-beta-induced protein in podocytes: Implications for podocyte depletion and proteinuria. J Cell Biochem, 2015; 116:1947-56. PMID: 25740786. Pavithra N, Sathish L, Suneel Kumar A, Venkatarathanamma V, Pushpalatha H, Reddy GB and Ananda K. In-vitro studies on α-amylase, α-glucosidase and aldose reductase inhibitors found in endophytic fungi isolated from Ocimum sanctum. Current Enzyme Inhibition, 2014, 10(2), 129-136. Venkanna A, Siva B, Poornima B, Vadaparthi PR, Prasad KR, Reddy KA, Reddy GB, Babu KS. Phytochemical investigation of sesquiterpenes from the fruits of Schisandra chinensis and their cytotoxic activity. Fitoterapia. 2014; 95:102-8. PMID: 24631765. Akileshwari C, Raghu G, Muthenna P, Suryanaryana P, Mueller NH, Petrash JM, Reddy GB. Bioflavonoid ellagic acid inhibits aldose reductase: implications for prevention of diabetic complications. 2014; J Func Foods 6: 374-383. Reddy GB, Muthenna P, Akileshwari C, Saraswat M, Petrash JM. Inhibition of aldose reductase and sorbitol accumulation by dietary rutin. Curr Sci 2011; 101: 1191-1197. SS Reddy, GB, Reddy and K Krishnaswamy. Case studies on functional foods-Health benefits of turmeric (Curcumin longa Linn). In: Functional Foods Monographs 2017. ILSI Southeast Asia Region Monograph Series, 2018, pp32-27. K Krishnaswamy and GB Reddy. Water soluble vitamins-deficiency disorders in Textbook of Human Nutrition eds: M.S. Bamji, K. Krishnaswamy& G. N. V. Brahmam) 4rdEdn, pp 336-357, 2016, Oxford & IBH, New Delhi. N Lakshmaiah, AV Lakshmi and GB Reddy. Water soluble vitamins in Textbook of Human Nutrition eds: M.S. Bamji, K. Krishnaswamy& G. N. V. Brahmam) 4rdEdn, 63-84, 2016, Oxford & IBH, New Delhi. GB Reddy and P Suryanarayana. Diabetes and diabetic complications and PhyllanthusspinPhyllanthus species: Scientific Evaluation and Medicinal Applications (eds: K. B. Hari Kumar &RamadasKuttan), pp 235-253, 2011, Taylor & Francis Group. GB Reddy and N Saravanan. Nutrition and eye diseases in Textbook of Human Nutrition (eds: M.S. 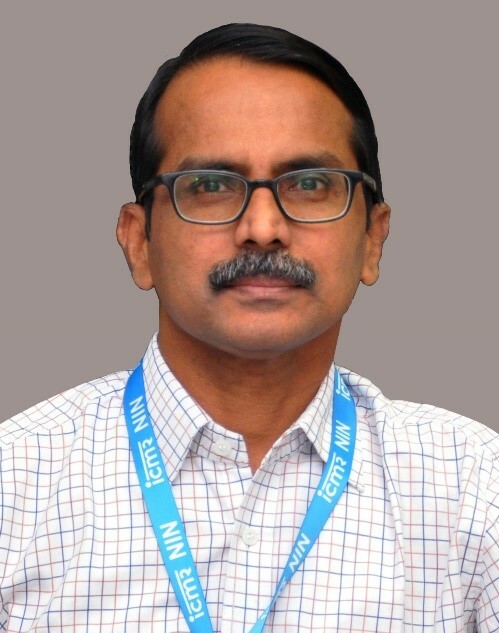 Bamji, K. Krishnaswamy& GNV. Brahmam) 3rdEdn, pp 418-430, 2009, Oxford & IBH, New Delhi.